More than any other photographer, Roman Vishniac's images have profoundly influenced contemporary notions of Jewish life in eastern Europe. Vishniac created the most widely recognized and reproduced photographic record of that world on the eve of its annihilation, yet only a small fraction of his work was published or printed during his lifetime. 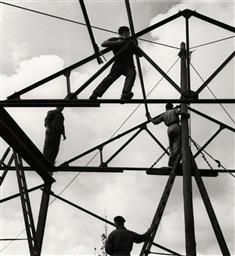 Known primarily for this poignant record, Vishniac was in fact a remarkably versatile and innovative photographer. His body of work spans more than five decades, ranging from early engagements with European modernism in the 1920s to highly inventive color photomicroscopy in the 1950s and '60s. Roman Vishniac Rediscovered introduces a radically diverse body of work—much of it only recently discovered—and repositions Vishniac's iconic photographs of eastern European Jewry within a broader tradition of 1930s social documentary photography. 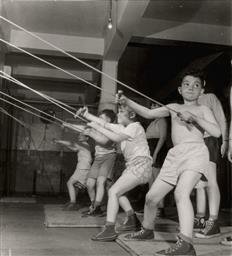 Born in 1897 to an affluent Russian Jewish family, Vishniac was raised in Moscow, where he studied zoology and biology. He immigrated to Berlin in 1920 in the aftermath of the Bolshevik Revolution. 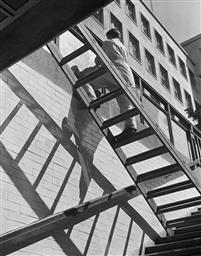 As an amateur photographer he took to the streets, offering witty and wry visual commentary on his adopted city while experimenting with new approaches to framing and composition. 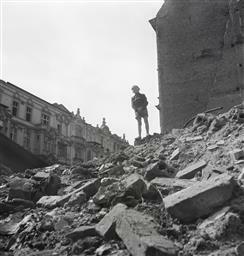 As Vishniac documented the Nazi rise to power, foreboding signs of oppression soon became a focal point of his work. 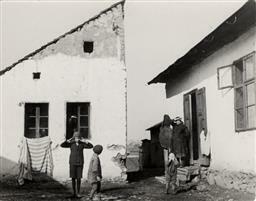 In 1935, he was commissioned by the European headquarters of the Jewish Joint Distribution Committee (JDC)—the world's largest Jewish relief organization—to photograph impoverished Jewish communities in eastern Europe. 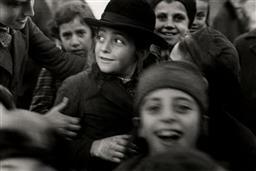 Vishniac's four years of work on the project yielded the celebrated images that have largely defined his photographic legacy. Arriving in New York on New Year's Eve 1940, Vishniac opened a portrait studio, working to make ends meet by documenting American Jewish communal and immigrant life, while establishing himself as a pioneer in the field of photomicroscopy. 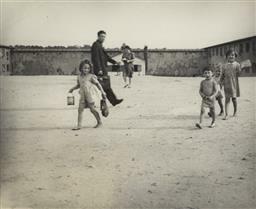 In 1947, he returned to Europe and documented Jewish Displaced Persons camps, the efforts of Holocaust survivors to rebuild their lives, emigration and relief efforts, and the ruins of Berlin. 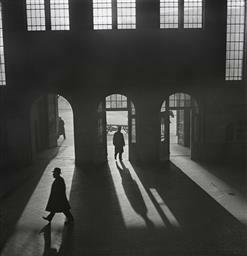 Roman Vishniac Rediscovered is a comprehensive reappraisal of Vishniac's total photographic output, from his early years in Berlin through the postwar period in America. 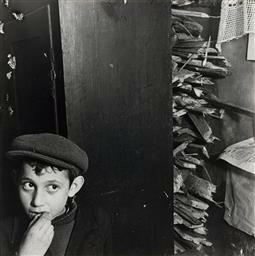 The exhibition is drawn from the Roman Vishniac archive at ICP and serves as an introduction to this vast assemblage comprising more than 30,000 objects, including recently discovered vintage prints, rare moving film footage, contact sheets, personal correspondence, and exhibition prints made from his recently digitized negatives. View Maya Benton's introduction on PBS.